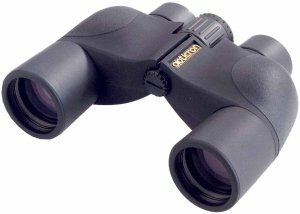 Whilst many modern binoculars tend to be of the roof prism variety, many people prefer the traditional feel of porro prism optics. Opticron have recognised this and introduced a high specification traditional shaped porro prism model. light loss, prisms are enlarged and the eyepieces have twist-up, twist-down eyecups and have long eyerelief for spectacles wearers. Supplied with a case, strap and manufacturers 30 year guarantee.